One hundred years ago, issues of housing, homelessness, public health and fair wages for women prevailed in media debates just like today. The Cork Examiner for early October 1917 describes the response by Cork Corporation to the Sanitary Officer’s report concerning the poor condition of houses in the West Ward and the need to rehouse people. The Chairman noted that it was impossible for many citizens to rent good housing, and asked that the Corporation could not throw people out on the side of the road. The only thing he believed they could do was to leave the people in their ‘insanitary condition’. 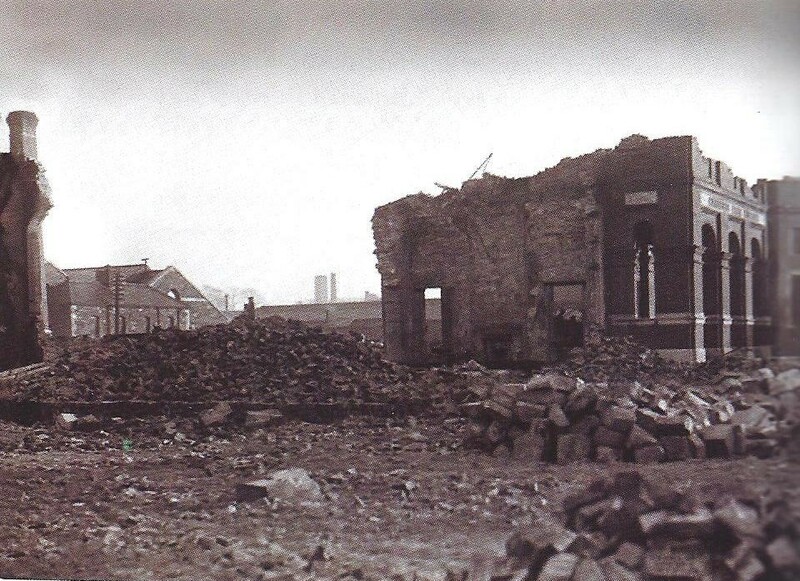 Commenting the chairman noted; “they in Cork should do something to house the people”. The City Law Agent, present at the meeting, highlighted that there were too many generalities spoken about the housing question. He suggested that the Housing Committee should formulate a scheme and then approach the Local Government Board and show how they had done their part; “We should present a watertight scheme and ask the Local Government Board to give us a loan, or if they would not do that, to pitch Cork on the top of the list for a grant in aid after the war is over”. The Committee requested the Medical Officer of Health and the Executive Sanitary Officer report on the issues for next meeting. The Committee decided to ask the Lord Mayor to call a meeting of the Housing Committee. At the Public Health Committee meeting, the Vice-Chairman, Mr J Horgan, presided. A letter was received from the Commissioners of National Education, Ireland stating representations had been made to them as to the desirability of school children in Cork being afforded opportunities of learning to swim. The letter inquired whether the Corporation of Cork would be prepared to grant similar privileges to children attending the primary schools in the city as those granted by the Belfast Corporation. The Chairman asked as to the feasibility of putting the matter into operation, and whether it involved the Corporation in any cost. Mr Goggin said the only expense was the price of bathing costumes. In London, he observed it was compulsory to teach boys and girls attending the County Council schools to swim. It was regrettable so many lives were lost owing to not being able to swim. They had a fine-equipped baths in the form of the Eglantine Baths in Cork; he commented: “the expense would be very little, and the advantages would be very great”. Coroner McCabe wrote to the Public Health Committee regarding a financial settlement with the owners of the horses who were contracted to engage in the scavenging system of collecting rubbish and depositing it in suburban sites. The owners decided to accept the sum of 13s a day for the horses, which had been offered at the last meeting of the Public Health Committee. They desired that the Corporation holidays, save bank holidays, should be abolished, as it was a loss to them. As to the men who led the horses, they were also contractors. The Corporation had been prepared to pay the men 28s a week, which Mr Houston, the representative of the men, had declined to accept. The employees wished to get 31s per week, the same as Corporation men. Corporation Solicitor Mr Galvin said the Corporation were obliged to pay the standard rate of wages, but in the making of the last contract the contractors refused to sign any form, so they had no written contract with them on improving employment matters. A special meeting was also held at the Carnegie Library Committee at the Library on Anglesea Street. Its purpose was to appoint a juvenile female assistant to children using the library. Cork City pioneered children’s library services in Ireland. It was the first public library in Ireland to introduce a collection specifically for children, in 1893, at the premises which were then located at Nelson Place now Emmet Place. 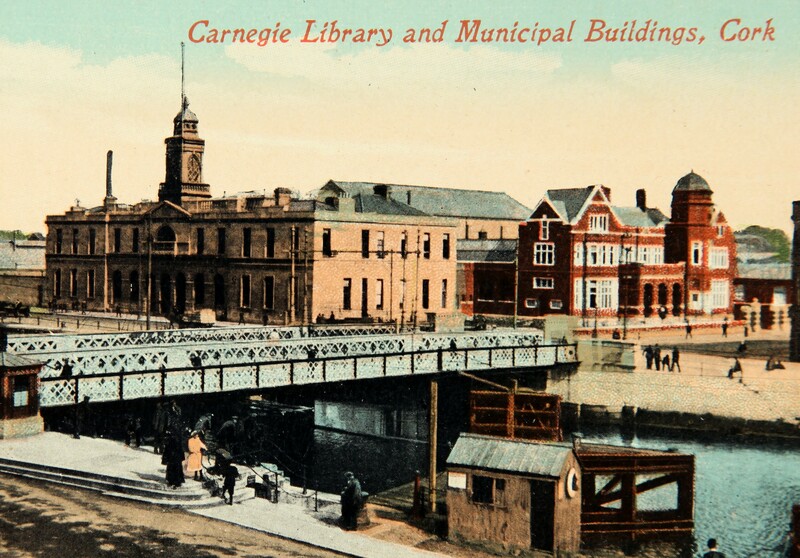 The foundation stone of the Cork Carnegie Library was laid by Andrew Carnegie in 1903 with the building opening in 1905. The new library included a dedicated children’s department and reading room. Miss Hosford, of 2 Cotter Street, having secured a clear majority over the other candidates, was declared elected to the assistant post at 7s a week. Over the ensuing few weeks, the four female members of the library initiated a request for wages similar to men. It was not granted in the immediate term. The report of the Cork Carnegie Library for 1917 reported that the collective issue of the books in the library increased by over ten thousand over the figures for the previous year, and stood 334 higher than the issues for the year before the war. The number of borrowings from the lending library was up by 9,873 whilst the consultations of volumes in the reference library increased by 320. Fiction and juvenile literature accounted for about eight-ninths of the increased issues. There was a slight decrease as regards works on sociology, which was a very popular branch the previous year. The attendance at the newsrooms showed further slight falling off, and it was expected that this would not return to the pre-war number until sometime after the close of the war. Kieran’s new book, Secret Cork (2017), is now in Cork bookshops.